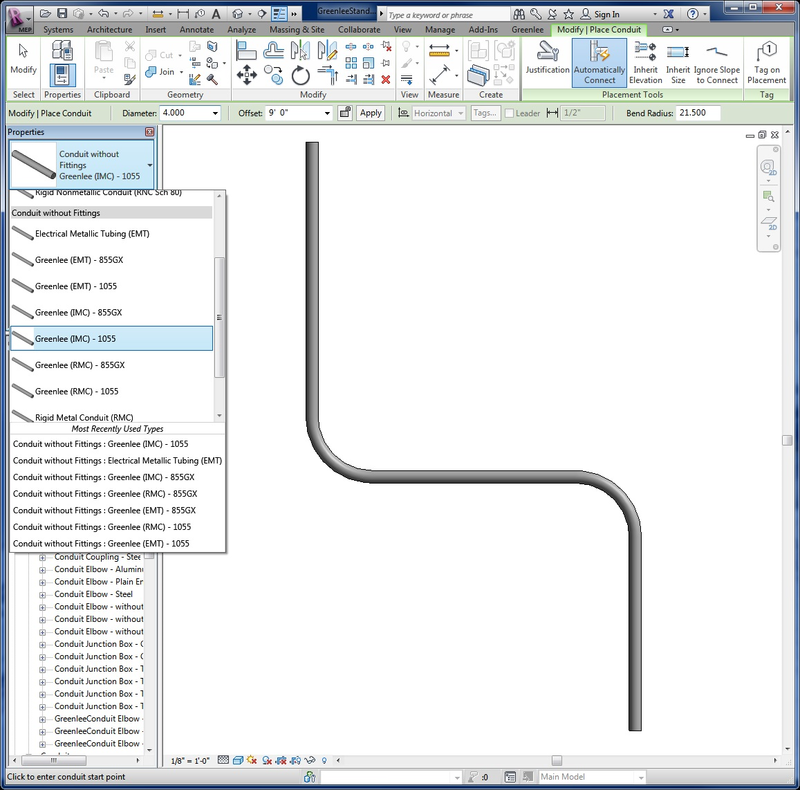 Smarter Back-to-Back Bend Logic: Updated back-to-back bend logic makes Bendworks even smarter and easier to use when modeling back-to-back bends. 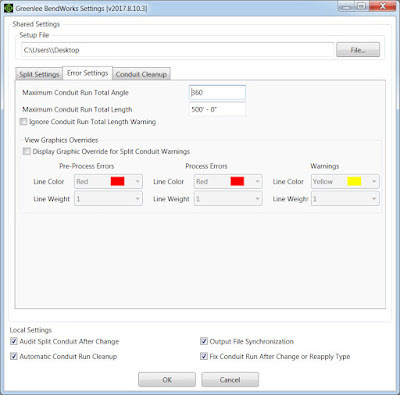 Output File Conduit Labels Order: Updated the order of before and after conduit labels in the CSV and TXT files for accuracy. 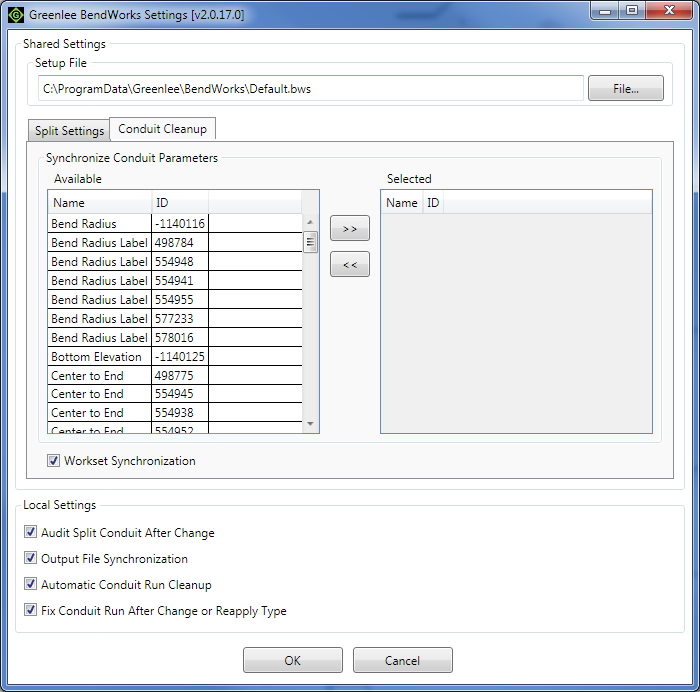 Error Codes Linked to Help File: Error codes now include hyperlinks that lead to detailed explanations and solutions from our updated help files. 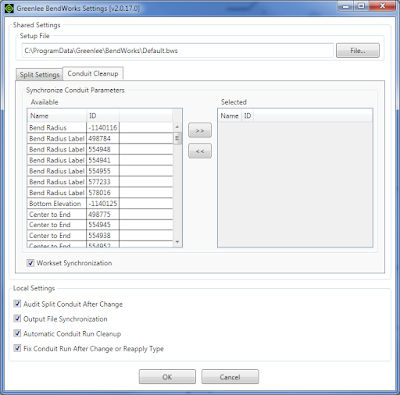 Enhanced Check and Export: The Conduit check and export option now also checks for pre-process errors along with process errors. 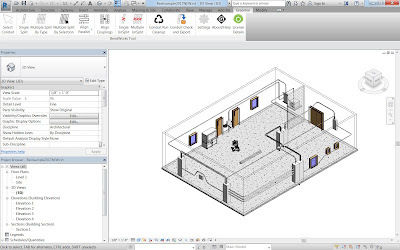 The Building Information Modeling (BIM) process is still new to many electrical contractors. 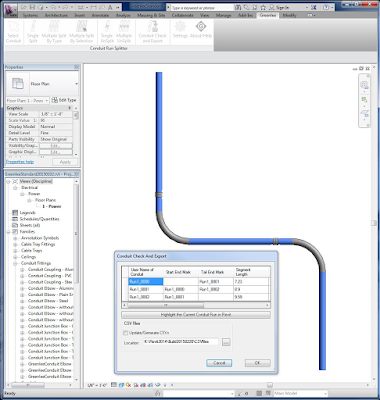 BendWorks® was designed to help electrical contractors adopt this new process easily. 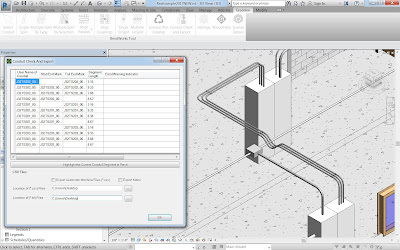 BendWorks® allows smooth information transferring between 3D electrical modelers and the electrical prefabrication shop or foreman on the jobsite. 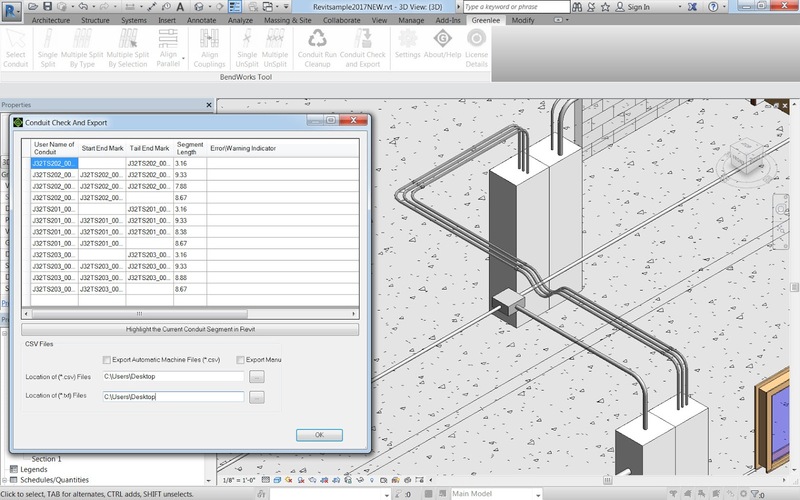 BendWorks® is a first of its kind add-in software application for Autodesk® Revit® and Revit® MEP that helps designers more efficiently optimize electrical conduit runs. 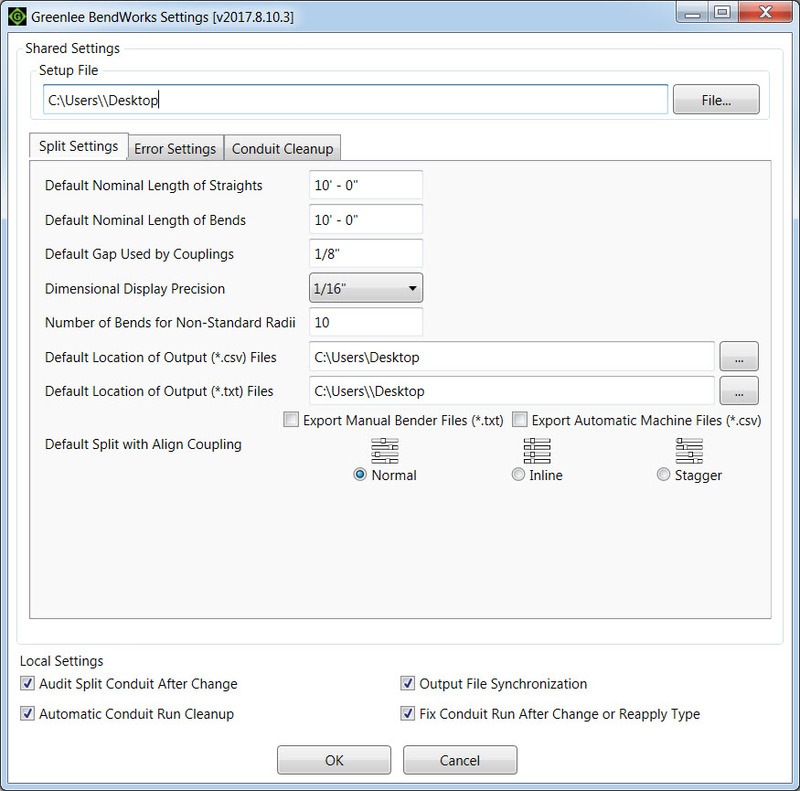 BendWorks® ensures that all conduit runs are error-free and export-ready for prefabrication or on-site bending with most Greenlee benders, saving time and reducing the cost for the electrical contractor. 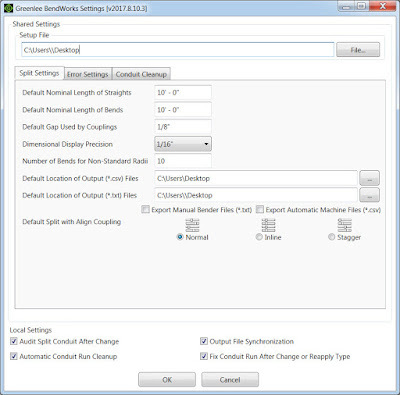 Conduit runs may then be processed using BendWorks® splitting tools. 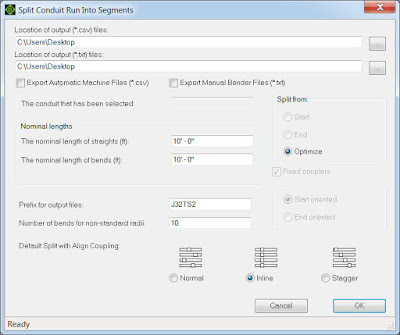 Segmentation of conduit can start from either the beginning or end of a run, or it may be automatically chosen to optimize which method is better for eliminating cuts. 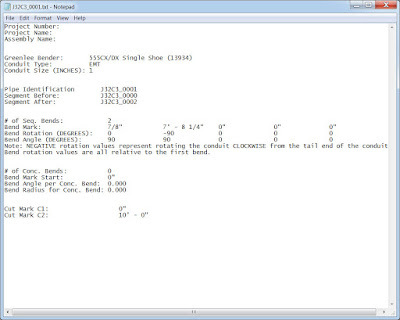 Upon segmenting the run, couplings are auto-inserted, and unique identification marks are assigned to each segment. 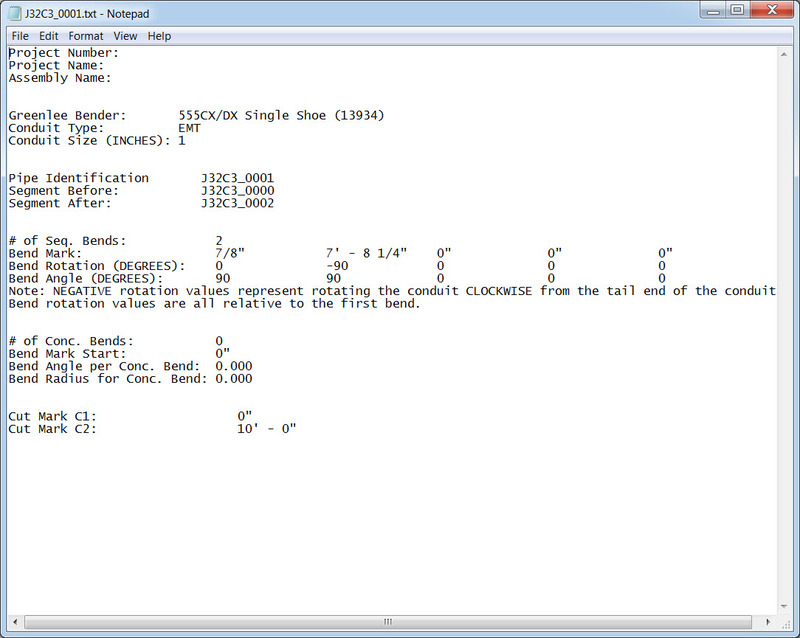 Segment lengths default to 10 feet, but this may be manually overridden. 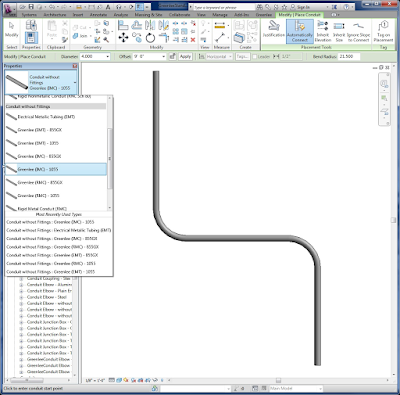 Autodesk and Revit are registered trademarks or trademarks of Autodesk, Inc., in the USA and other countries. 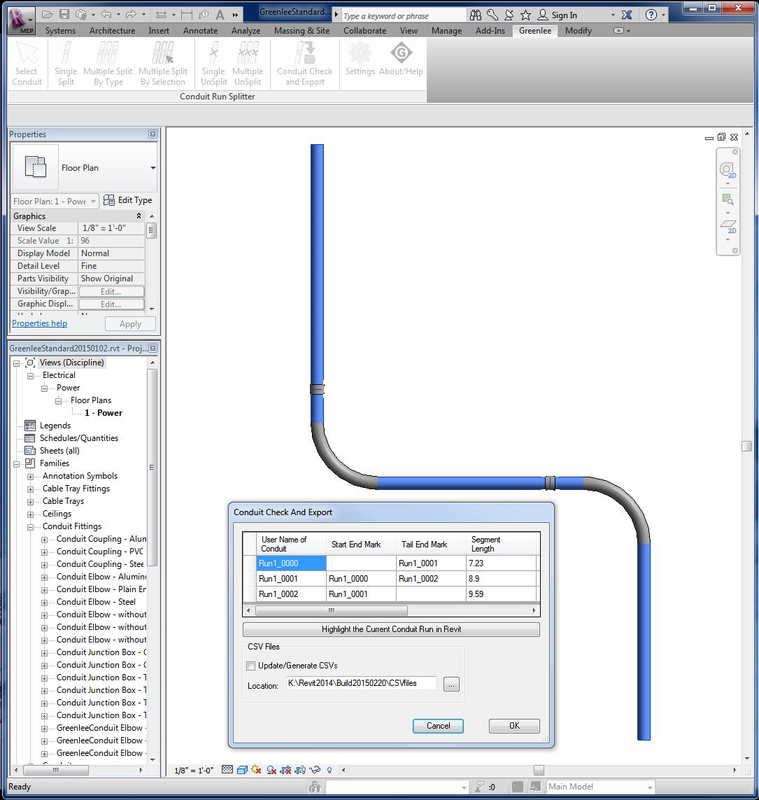 BendWorks® outputs critical data on each conduit segment, such as size & type, bender assigned, and locations of bends, into .CSV files. 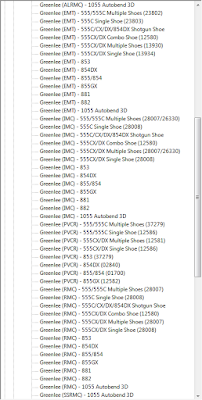 These files may be electronically transferred to programmable Greenlee benders (1055 AutoBend 3D & 855GX) to ensure accuracy in fabrication. 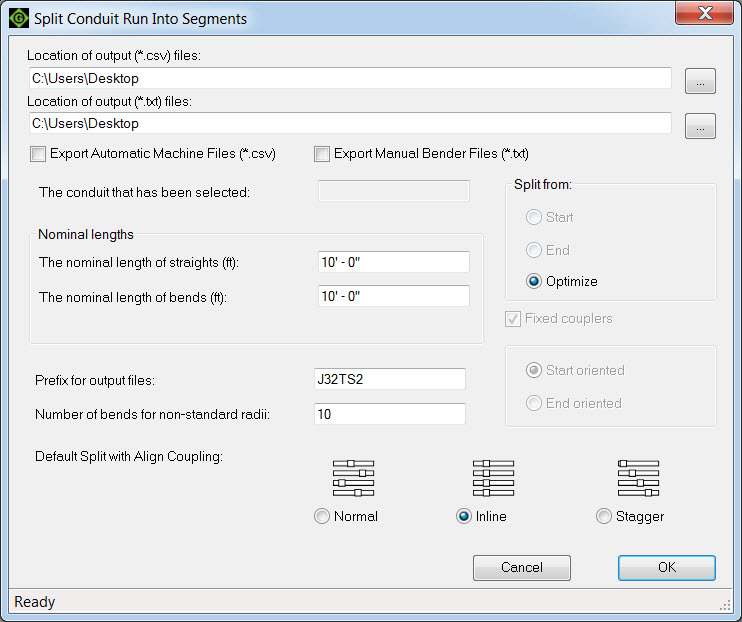 For traditional, non-programmable benders, conduit segment data may be output into .TXT files that can be printed and used as a comprehensive guide to correctly mark and bend each piece. 30-Day Full Trial: Downloading this application will grant full access to all features and functionality for 30 days. 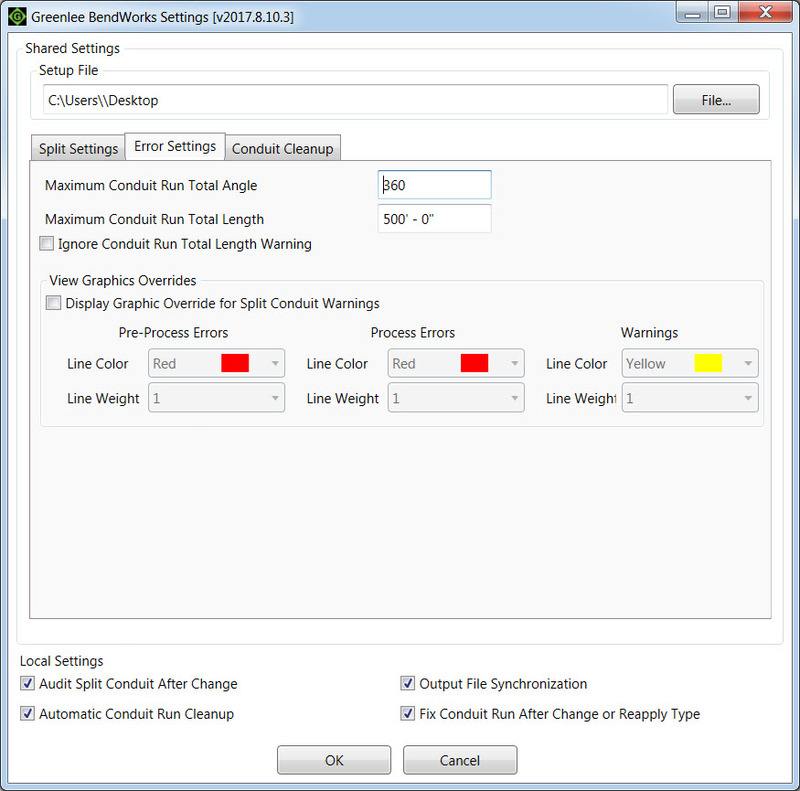 Upon expiration of the trial, licenses may be purchased from the Greenlee storefront http://www.greenlee.com/products/BendWorks.html. The subscription is available for monthly and annually auto-renewal as well as single and a five (5) licenses group pack for better pricing. 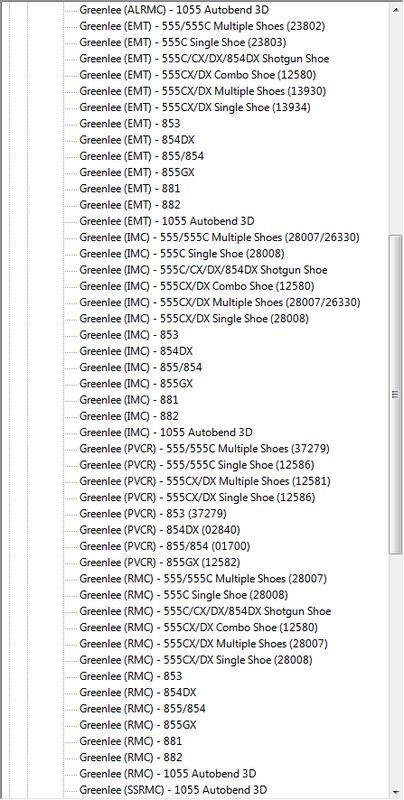 Greenlee BendWorks® is brought to you by Greenlee Textron Inc. Pricing was not known at press time. 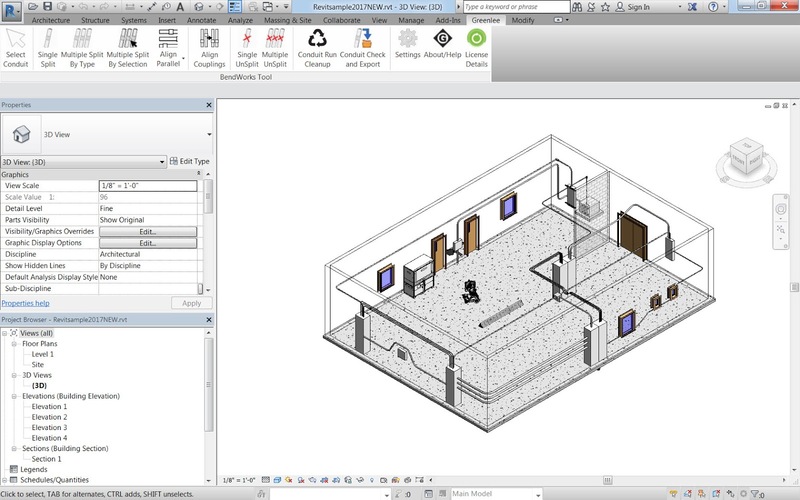 There's more information available on the Autodesk App Store.